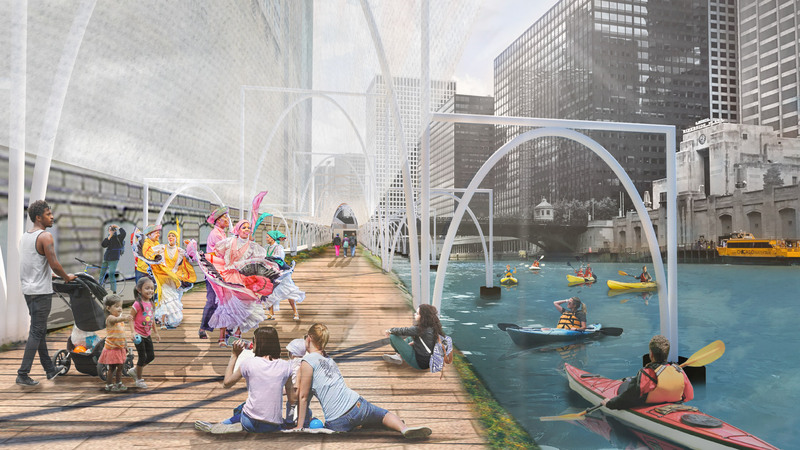 The Chicago River, currently a polluted moat dividing neighborhoods, is slowly transforming into an asset, helping to drive the culture of the city instead of posing a health risk to its people. 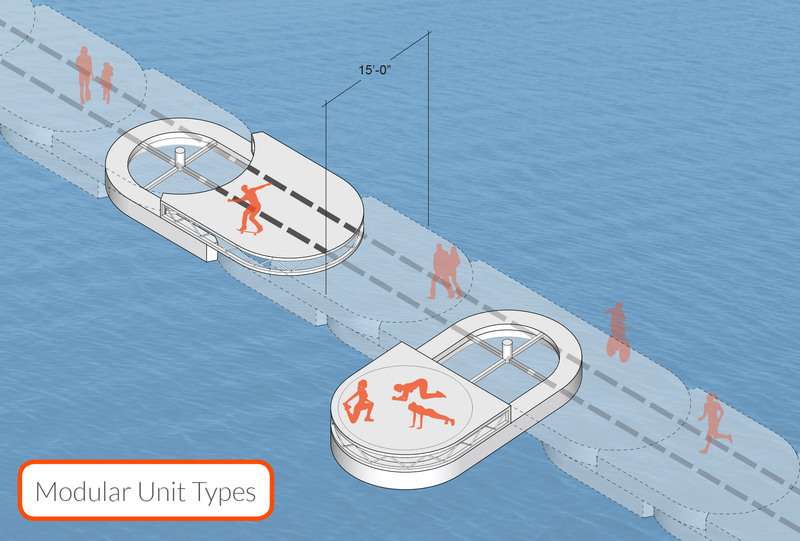 “River Rituals” connects existing trails and parks along the River using deployable water walkways creating opportunities for new Rituals at any river location. 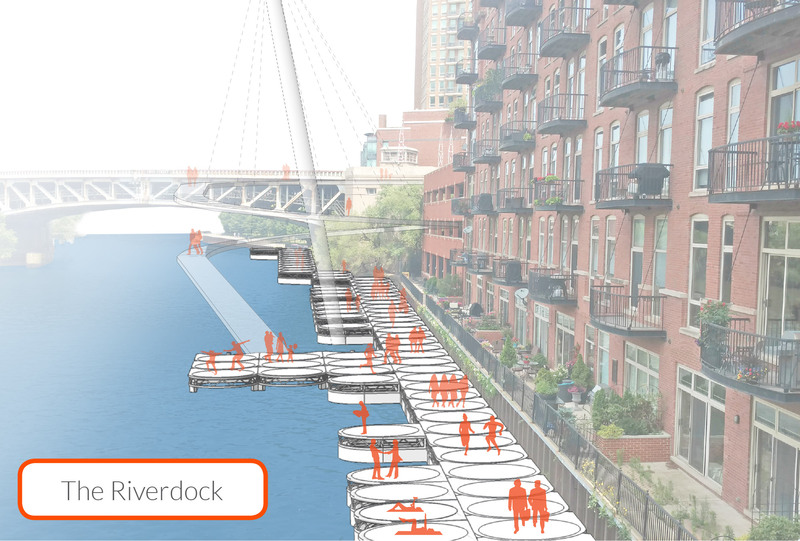 The Riverdock, a floating walkway kit, accommodates diverse river edge conditions while connecting sites along the river. Within this overall framework, various programs can be deployed to create and supplement environmental and community interests. At the three unique locations, a site-specific event or celebration illustrates an urban condition improved by engaging the river. 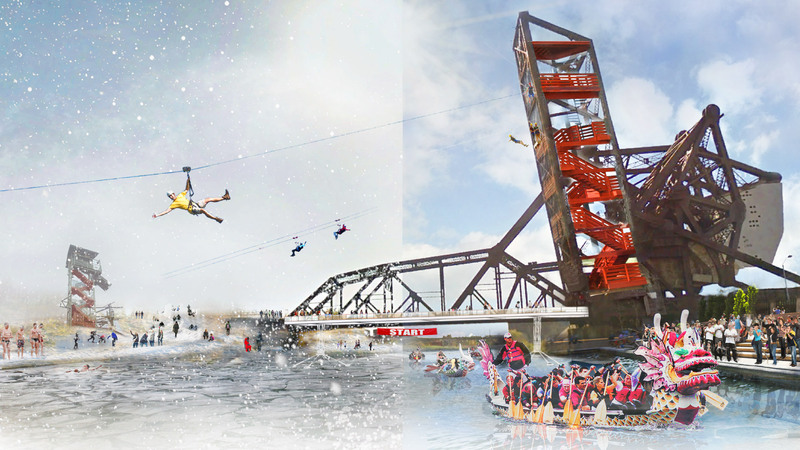 While the Lyric Colonnade, Congress Filter, and St. Charles Raceway are only three ideas of endless possibilities; the well-being and livability of our city is tied to our relationship with the river in the future. Ross Barney Architects—a Chicago based architecture and urban design studio founded by Carol Ross Barney—occupies a unique place within the panorama of contemporary practice that is characterized by a reputation for work in the public realm. From community buildings to campus buildings for premier academic and research institutions, to groundbreaking transit stations that connect vibrant neighborhoods, Ross Barney Architects has produced distinctive structures that have become community icons. A belief at the core of this work is that design excellence is a right, not a privilege; no matter the scope or scale. 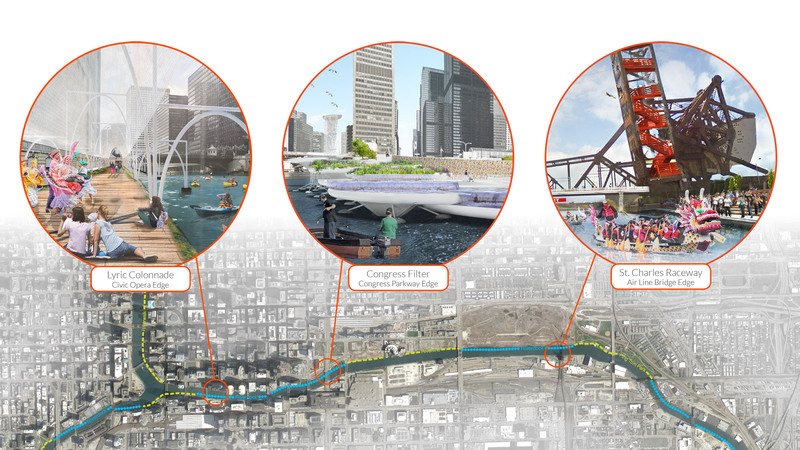 Chicago Riverwalk, Chicago, Illinois (2016), Great Rivers Chicago Vision Plan, Chicago, Illinois (2016), CTA Cermak McCormick Place and Morgan Street Stations, Chicago, Illinois (2015 and 2012), James I Swenson Civil Engineering Building, Duluth, Minnesota (2012), and the Oklahoma City Federal Building, Oklahoma City, Oklahoma (2005).